﻿Saturday will mark the 35th edition of The Circle City Classic when Howard and Bethune-Cookman go toe-to-toe. 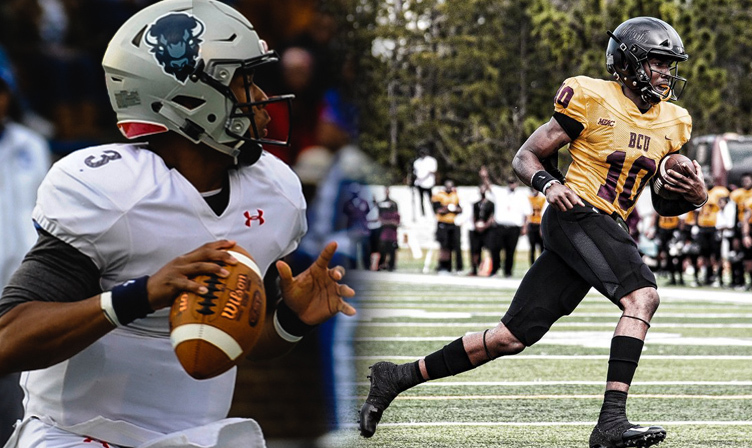 Over the years, the years the game has hosted some of the greatest quarterbacks in HBCU history, and this year’s edition includes two up-and-coming signal callers hoping to write their names in the game’s storied annals. The big gun in the inaugural classic was Willie “Satellite” Totten. The Mississippi Valley quarterback completed 36 of 55 passes for 558 yards and four touchdowns, including two to Jerry Rice in Valley’s 48-36 win over Grambling in 1984. He followed it up with a three touchdown performance the next year without Rice in Valley’s 28-13 win over Tennessee State. Alcorn State rolled north into Indiana in 1991 with a freshman named Steve McNair to take on Howard. When the dust settled, he completed 23 of 36 passes for 433 yards and three scores while leading his team to a 46-27 win and showed that he would be a force to be reckoned with. The rest, as they say is history. Legendary names like Ted White (Howard), Quinn Gray (FAMU) and others have also shown up as well. Howard’s current quarterback, Caylin Newton, is looking to add his name to the list of accomplished quarterbacks in the Circle City Classic. The sophomore from Atlanta is super talented, but has been inconsistent in his team’s first two games. His counterpart isn’t as well known, but that may soon change. BCU’s Akevious Williams has been on a hot streak his last two games, being named MEAC Offensive Player of The Week both weeks. The redshirt junior spent last season splitting time with Larry Brihm, but came into this season as the number one guy. He’s responded with seven passing touchdowns to just two interceptions and completed 68 percent of his passes. Rest assured, London and the Howard staff know exactly who Williams is. With two quarterbacks who can hurt the opponent in multiple ways, both Howard and Bethune-Cookman defenders had better beware.